For those of you that have not been keeping up with the news within the Technical diving world, you will be pleased to find out the Technical Diving International (TDI) have launched a new distinctive speciality course. The course is called the TDI Helitrox Course. The course has been designed to introduce divers to the uses of helium at an earlier point in training and subsequently allow divers to use Helium in their breathing mixtures for dives between the depth ranges of 30m-45m. The new course has been introduced as a potential alternative to the TDI Decompression Procedures course for anyone diving beyond 30m who would prefer to use a Helium based breathing mixture rather than Air or Nitrox. Similar to that of the Decompression procedures course, the course can be taught either on its own, or combined with TDI Advanced Nitrox. For those of you that already have the Advanced Nitrox and Decompression procedures ticket, the new course can be taught as an upgrade too. The Helitrox course examines the theory, methods and procedures for planned stage decompression diving utilizing Helium in the breathing mixture. 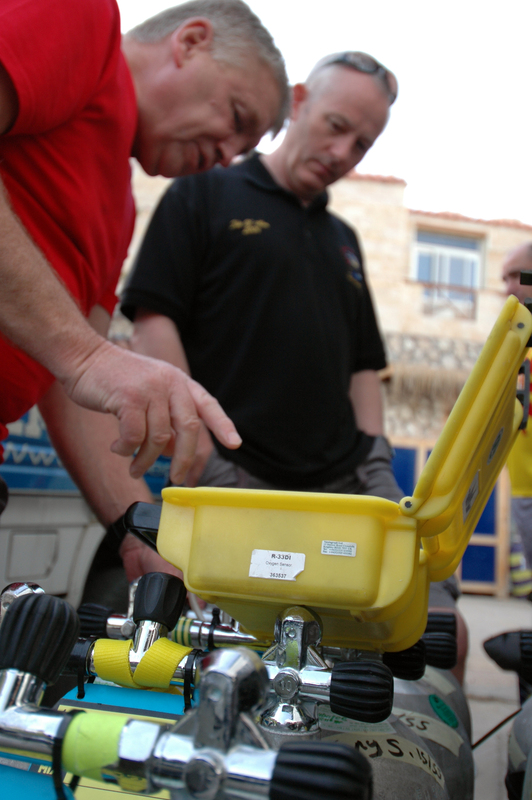 The main objective of this course is to teach and prepare divers how to plan and conduct staged decompression dives not exceeding a maximum depth of 45m. The certification does have certain restrictions. Divers are permitted to utilize Enriched Air Nitrox and Helium mixes with no greater than 20% Helium and no less than 21% Oxygen content as well as up to 100% Oxygen for decompression diving if combined with Advanced Nitrox. It is almost like a stepping stone before reaching the full normoxic trimix course. It is very apparent that training agencies like TDI are strongly pushing for increased safety in technical diving by trying to eliminate the nitrogen issues as much as possible. Tekstreme will very soon be able to offer to you this new course. Watch this space for more details.